This first-person narrative about an archaeological discovery is rewriting the story of human evolution. 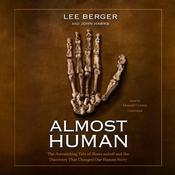 A story of defiance and determination by a controversial scientist, this is Lee Berger’s own take on finding Homo naledi, an all-new species on the human family tree and one of the greatest discoveries of the twenty-first century. In 2013, Lee Berger, a National Geographic explorer-in-residence, caught wind of a cache of bones in a hard-to-reach underground cave in South Africa. He put out a call around the world for petite collaborators—men and women small and adventurous enough to be able to squeeze through eight-inch tunnels to reach a sunless cave forty feet underground. With this team of “underground astronauts,” Berger made the discovery of a lifetime: hundreds of prehistoric bones, including entire skeletons of at least fifteen individuals, all perhaps two million years old. Their features combined those of known prehominids like Lucy, the famous Australopithecus, with those more human than anything ever before seen in prehistoric remains. Berger’s team had discovered an all new species, and they called it Homo naledi. The cave quickly proved to be the richest prehominid site ever discovered, full of implications that shake the very foundation of how we define what makes us human. Did this species come before, during, or after the emergence of Homo sapiens on our evolutionary tree? How did the cave come to contain nothing but the remains of these individuals? Did they bury their dead? If so, they must have had a level of self-knowledge, including an awareness of death. And yet those are the very characteristics used to define what makes us human. Did an equally advanced species inhabit Earth with us, or before us? Berger does not hesitate to address all these questions. 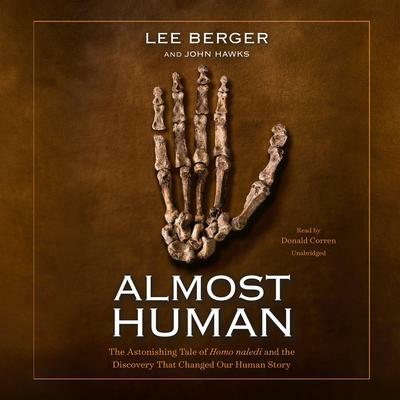 Lee R. Berger, a National Geographic Society explorer-in-residence, is the Research Professor in Human Origins and the Public Understanding of Science at the University of the Witwatersrand in Johannesburg, South Africa. He was a founder of the Palaeoanthropological Scientific Trust, the largest nonprofit organization in Africa supporting research into human origins. He is the director of one of the largest paleontological projects in history, leading over 100 researchers in investigations of the Malapa site in South Africa. He has authored more than 200 scholarly and popular works. His research has been featured three times on the cover of Science magazine and has been named among the top 100 science stories of the year by Time, Scientific American, and Discover. He has appeared in television documentaries on subjects related to archaeology, paleoanthropology, and natural history, as well as on NPR’s Talk of the Nation, Morning Edition, and All Things Considered, and PBS’s News Hour and Alan Alda’s Scientific American Frontiers. He was named one of Time magazine’s 100 Most Influential People of 2015 and 2016’s Rolex National Geographic Explorer of the Year. John Hawks is the Vilas-Borghesi Distinguished Achievement Professor of Anthropology at the University of Wisconsin, Madison. He is the author of a widely read paleoanthropology blog, johnhawks.net. He graduated from Kansas State University in 1994 with degrees in French, English, and anthropology. He received both his MA and PhD in anthropology from the University of Michigan. After working as a postdoctoral fellow at the University of Utah, he moved to the University of Wisconsin, Madison, where he is a member of the anthropology department, teaching courses including human evolution, biological anthropology, and hominid paleoecology.